81,499 people have stopped by - I appreciate it so very much! Every comment and every view make my heart happy and warm my soul. Thank you so much! All content, (including text, photographs, and design work) is © Taylor Usry. My original creations are for personal inspiration only and may not be copied for any publications or contest submissions. October is Breast Cancer Awareness Month. Go " Pink for October" and help spread the word! Our challenge this week comes from Shelly and is the “Mix It Up!” challenge. She wants us to use up the scraps that we all have! Create a card using at least 2 OR MORE decorative paper scraps! So to my scrap bin I went. And it is HUGE, lol. I was lucky enough to find two dp’s that were both triangles, and happened to be the right size I need – woohoo! I adhered them to my River Rock panel, and then handstitched up the middle with pink thread. At the top, on my sentiment, I used my cropadile to set teh eyelet and then threaded the tasssel through. I LOVE IT!! Looks just like where the showerhead should be! Over on the right side, I added some hot pink Dew Drops. And ro put a little more zing on this one, I added Crystal Effects to the bubbles and the water on the floor. My image is colored with Copic markers, and the tub is purple becuase my three year old said it should be! 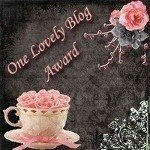 Don’t forget to use the links on the right of my blog to checkout the other DT members’ creations! Also be sure to check back later today — I’ll have more posts and some challenges for you!!! Using those 2 different patterned papers as the base was a great idea. What a cute card Taylor! I love that image! Totally cute! Love the tassle! Um…have I TOLD you how much I LOVE LOVE LOVE This card??? It has a TASSEL! For a SHOWER HEAD! You may not know this, but I have this friend T, and she’s been known to be a genius! LOL. Great job w/ this…LOVE it more and more each time I look at it! again, just darling!! i love that tassel!! perhaps i’ll have to work in a decadent bubble bath for myself tonight! Ribbons & Bows, Oh My!